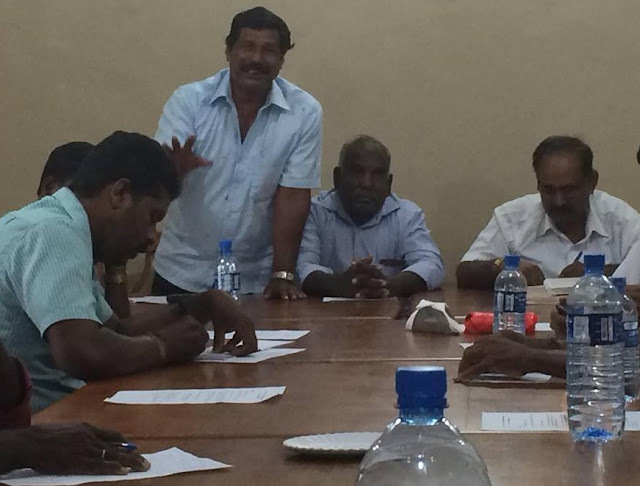 Northern Province Fisher People Union(NPFPU), known as “Iniyam” met at Yarlpad, Jaffna today for plan for Co-Management platform of Northern Province for address issues collectively as the four districts in Northern province. In the WFD 2016 which was held at Jaffna, Iniyam presented the first copy of the concept of Co-Mgt platform to the provincial fisheries minister N. Dineshwaran. Our vision on Co-Mgt is how the people control, manage, use, sustain and own the resources available locally for their resources in the area. The Fisher people who are living in the north may have right to determine how they utilize their resources in collaboration with govt officials, Fisher communities, politicians, military appropriately and women in particular. “We will form our Co-Mgt platform by January and adopt our “Fisheries Charter” at the January Co-Mgt meeting said Francis Joseph, the Vice President of Iniyam shared his hopes. 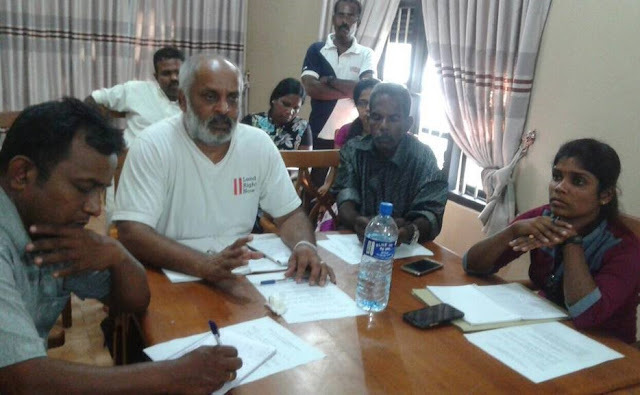 Shankar, an active member of Iniyam in Mannar m said, “We are facing serious issues at South Bar as we confront with Southern Migratory fishers. The issue is that the Southern fishers use light purse seine nets, Surukku nets, dynamite and use scuba diving for collect Sea- Cucumbers which all are destructive and restricted practices here in the Mannar. We need to have a collective efforts to overcome those. Added Sankar at the meeting. The enthusiasm was raised once we explained the self control the resources. M. Mariyarasa, the treasurer of Iniyam shared his experiences of engagement on Indian trawling issue. “It is we did win the battle against Indian trawlers with 4 districts Fisher samasams courage. Iniyam facilitated the process with NAFSO backing. Finally we are relieved from Indian trawlers at least 90 percent.” Thanks to all engaged. Added Mariyarasa.